So I know this is a little late but I want to get in the swing of this thing so. 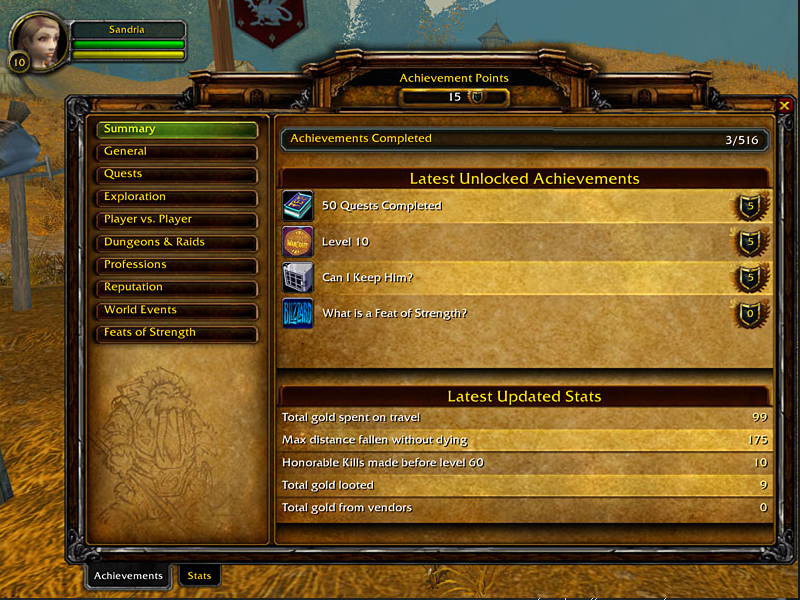 Not so new news in the WoW world is achievements, when Wrath of the Lich King Expansion comes out you will have a achievement button on the action bar along with your talents and character page. This is interesting and I can see how this could retain players and add a new little thing to do in the game. Hit the link for the official announcement.